Today, I sat inside of Point Defiance Elementary School with students, parents, concerned citizens, and representatives of The Satanic Temple to talk about the Satanists’ new after-school program, “After School Satan.” Sure, the fun may have been outside; complete with bagpipes, carted-in concern, and enough microwave trucks to instantly cook a very sad Holiday meal, but I’m content to watch that online. The fact is that Tacoma was one of the first cities announced by The Satanic Temple and now we need to see the wholesale spectacle become a retail educational program. So rather than stay with the media circus, I went into the meeting itself. Media wasn’t allowed, but I thought I had good reason to go even if I counted as ‘Media’: I’m a Tacoman and thus have a tax-payer angle, I’m a local community activist nominally allied with the Satanists, and Becky– a highly regarded educator– wanted to make sure the program was on sound pedagogical footing. If I had to describe the overall feel of the room while the event was going on, I’d describe it as a convergence zone of cognitive dissonance. The Satanic Temple contingent had to keep the obvious political posturing at bay while spinning this up as a positive educational experience. The parents had to balance their concerns about the future of secular education with their fears of their children being targeted by the ideologically blinded. The Christians had to balance their war with the Adversary against their growing knowledge that there were no actual adversaries in the room. Becky and I were continually divided between our desires to passively observe or to dive in and help where we could. Everyone was cordial, open, communicative, and continually terrified that something might go wrong at any moment. The counter tops were low, everything was labeled with marker, and it was one of the most understatedly intense rooms I’ve been in for some time. But enough about the emotional landscape, let’s get to the details. 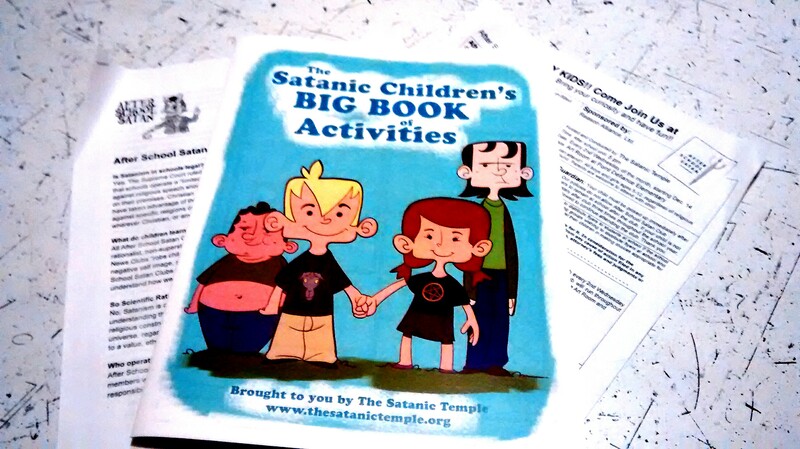 The educators provided by The Satanic Temple were Lilith Starr, head of the local chapter, Vapula Lix and Violet Black, who were assisting, and Erin Botello, who appeared to be the main educational resource for Tacoma’s After School Satan implementation. 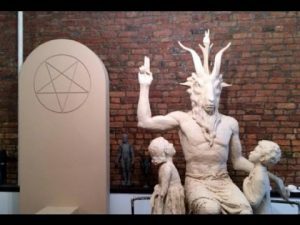 There was no lack of documentation: they had the usual Satanic Temple pamphlets and statements of belief, their coloring books, and an eyes-only copy of their working curriculum. Curriculum was 80% of the reason we were in the room in the first place. I won’t give you details, since I was looking at it with the understanding that it wasn’t public. You’ll see them soon enough as I’m pretty sure one of the Christians in the room left with a copy, but the idea is that the After School Satan Club won’t show their curricular hand until the Good News Club releases their curriculum. Frankly, if you’re familiar with Camp Quest or 4H, there’s really nothing concerning in the curriculum. It dislikes bullying, promotes equality in total, and appreciates the community and environment. Any objection can really only come from the Who, not the What. Of course, that’s the whole purpose of the exercise. Building on their curriculum, the presentation by the Satanists was education-focused, but they were clearly situationally sensitive and met questions head on. When asked about the mystically-abusive reputation of the term “Satanist,” they referenced their seven tenets and denied any ritual tendencies. When asked about more supernaturally focused Satanism and the LaVeyan crowd, they were quick to not only deny an affiliation, but to make sure specific differences were known. They acknowledged atheism and Humanism, as well as the Satanists who believe Satan actually exists. Starr’s honesty and delicacy when questioned on political ramifications, touching not only the Hobby Lobby precedent but specifically mentioning bodily autonomy and the continuing debate on contraceptives, made it clear she was focused on making After School Satan a positive experience and not just cheap political maneuvering. Questions of educational approach were ably addressed by Botello. This openness also made clear some of the weak points in the After School Satan concept as a working program. 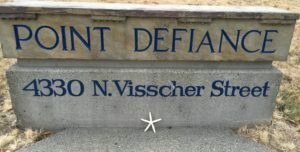 The stated purpose is a protest against the Good News Club, and the Satanic Temple would not darken the door of any elementary school if their goals were met. My contribution to the discussion was a single question: if the Good News Club is compelled to leave, is there a caretaker organization or some plan in place if students find value in the After School Satan program? They hadn’t considered that possibility. Another weak point was addressing the fears of the parents. One parent with a child at the school had serious questions about the school becoming a weekly circus and students in the After School Satan program being specifically targeted by religious people and organizations. Botello had strong answers about interacting with participating students in this context, but the overall response of the Satanists left me feeling that they had no good answers for the spectacle the national organization was clearly trying to orchestrate. Their overall best answer by the Satanic educators is a higher degree of parent observation and participation. The parents were completely on board. No wonder, considering the kind of circus they had to walk through just to be in this small classroom. The parents were also quick to ask questions not only about the nature of The Satanic Temple, but also about potential cult-like behavior within the “After School Satan” club. Starr made it very clear that there would be no shunning, no secrecy, and no proselytization. The parents were concerned about their children not only being targeted by religious groups, but also bullied by students within the school. I think it’s a fair question, but in places like Point Defiance Elementary, it may already be too late. The Good News Clubs are already there, already gearing up to target children using other children in a culture that looks suspiciously like bullying. The predator is already loose in the guise of a shepherd. On one level, I appreciated the Christians who were at this open house. They asked a lot of questions and were open to the answers they received. They didn’t seem to think that the people they were dealing with were the vanguard of some demonic force that would overtake the school. I identified with them almost immediately. They also did their own research, and this is where my empathy was nearly annihilated. Their sources seemed to be almost entirely influenced by the Satanic Panic of the 1980s and early 90s, complete with the presentation of an online tome regarding “Ritual Satanic Abuse,” one I am nearly certain I also own, which references the discredited Mike Warnke. I pointed this out, mentioning the Cornerstone magazine debunking in the early nineties. That got their notice but didn’t prevent them from trying to hand out well-discredited “Satanic Child Abuse” fliers to parents on the way out of the classroom. For their part, the kids were non-entities in the discussion. This may or may not be emblematic of The Satanic Temple’s program, but is certainly emblematic of the Good News Club and their use of students as an exciting new resource in the Great Commission. For the Satanists’ part, this was an open house for the parents, and unless I miss my guess, a great heat sink to keep the religious crazies away from the actual children who will participate. Much like my experiences with Camp Quest, the supplied curriculum doesn’t function well without active student participation. After the classroom, after a circus not seen here since the last time AC/DC was in town, and after the fears of the parents, the life and death of this program may rest on the people who can steward it from a sound pedagogical approach. In Tacoma, that approach is in the hands of Erin Botello, and those hands seem capable indeed. But does the Satanic Temple’s theatrical approach, so effective in the case of a Baphomet statue in the Oklahoma statehouse, really work well with the addition of a children’s program that the cognitively-deprived media will undoubtedly cast as the Children’s Auxiliary of Satanism? Do cries of “Ave Satanas,” coordinated black and red costumes, and a nom du diable really work when we’re (figuratively speaking) messing with the karma of children? I don’t know, but I can’t help but notice my own cognitive dissonance when asking these questions. I am the Soviet-long-coat-pot telling the black-trenchcoat-kettle that it’s wearing black. I implicitly identify with these people. Not only the outsider approach, but the very optics that I find objectionable here have always been in my life, even as far back as the ages of the students the Satanic Temple is hoping to reach. I may not be able to join them, but I can’t help but root for them.